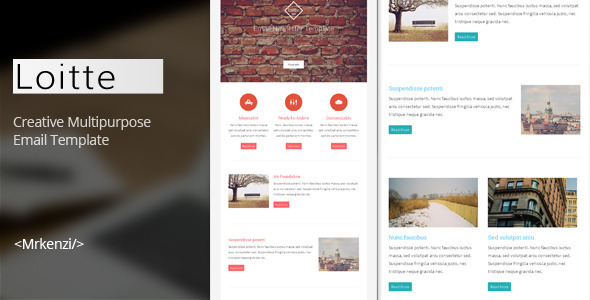 Loitte is creative and multipurpose email template. Built with Ink from zurb, it's also ready for mobile. Loitte is pretty clean, flat and modern designs. There are two flat color options available. Has been tested on most modern major email client and inline CSS used for a full cross browser compatibility.